Fifteen Syrian children have died on one month because of the severe cold weather and lacking medical care, UN children’s agency UNICEF said on Tuesday. 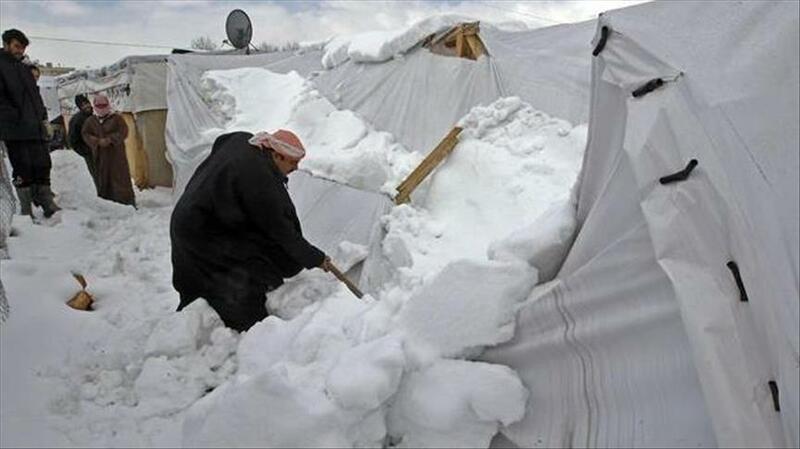 “Freezing temperatures and harsh living conditions in Rukban [refugee camp], at the southwestern border of Syria with Jordan, are increasingly putting children’s lives at risk,” Geert Cappelaere, UNICEF Regional Director for the Middle East and North Africa, said in a statement. Rukban refugee camp accommodates some 45,000 people, 80 percent of whom are women and children. Cappelaere pointed out that since December around 10,000 Syrians have fled Hajin area in Syria’s northern Deir Ez-Zor province due to fierce clashes between Daesh and PYD/PKK terrorist groups. UNICEF called on all sides to urgently facilitate a humanitarian aid to Rukban.